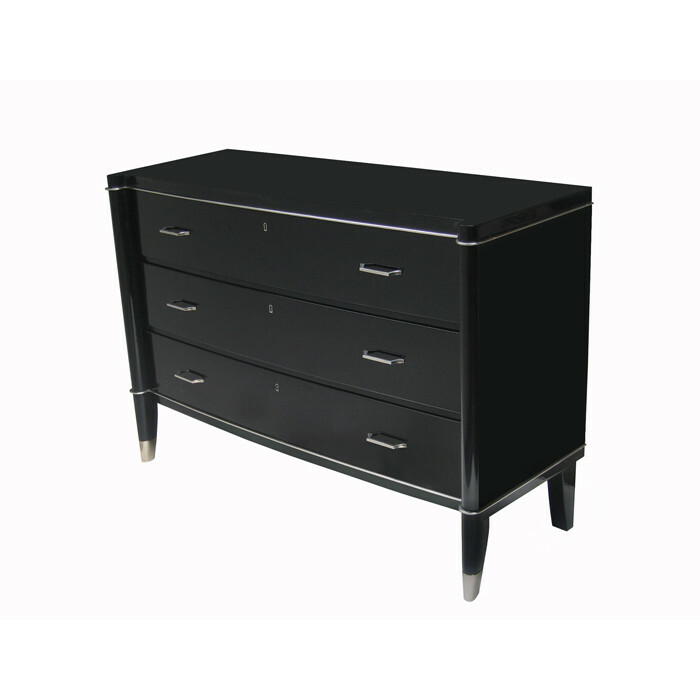 An ebonized Art Deco chest designed by De Coene Frères. Black Lacquer with nickeled bronze pulls, details and sabots. Featuring the original De Coene Label.